SAO PAULO (Reuters) -- General Motors was caught by surprise today by a strike at its Brazilian car factory as workers protested a planned furlough and layoff of hundreds of staff, in the latest labor disruption in the nation's slumping auto industry. The company said in an email it had asked a labor judge to mediate the dispute and that a hearing had been set for Monday afternoon. The local metalworkers union said workers had voted for an indefinite strike, bringing production to a standstill, to protest GM's proposal to furlough nearly 800 workers for two months before laying them off in April. 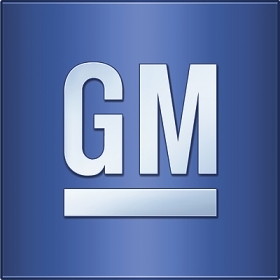 Representatives for GM declined to comment on its labor proposal, but criticized the union for the decision to strike. "The decision was a surprise, since GM's proposal was not fully presented to employees by the union. As a result, GM will take necessary legal measures," a spokeswoman said in an emailed statement, without specifying what measures GM would take. The strike in Sao Jose dos Campos, about 55 miles outside of Sao Paulo, was the most recent in a wave of industrial action this year in Brazil's auto sector, which trimmed 7 percent of workers last year as output plunged. The metalworkers union of Sao Jose dos Campos, which holds leadership elections next week, has butted heads repeatedly with GM as the automaker trimmed its payrolls at the local plant from about 7,500 workers in 2012 to about 5,200 currently.